NOV 17. National Balloon Rally Charities awards $82,205.00 to dozens of local non-profit organizations. 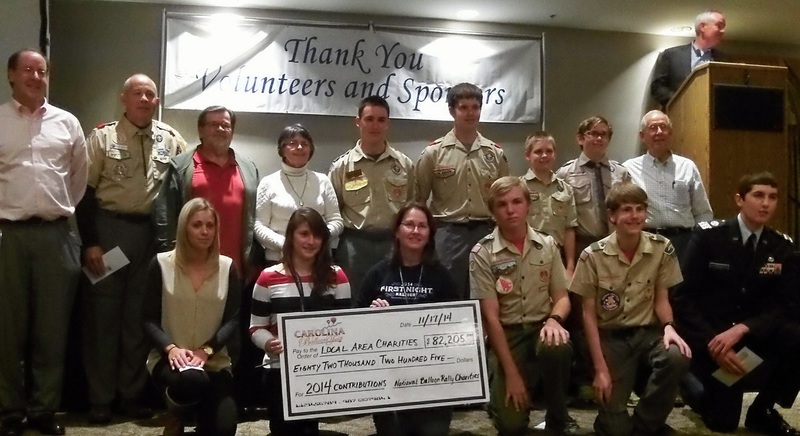 The donation announcements were made at the 2014 Volunteer & Sponsor Celebration on Monday evening, November 17. Primary beneficiary. American Cancer Society's Relay for Life of Statesville is awarded $21,000 from National Balloon Rally Charities. Board Member Honor Gifts. National Balloon Rally Charities awards a total of $6,000 of the designated proceeds from Carolina BalloonFest to the non-profit organizations below in honor of their 2014 Board Members; Bud Welch, Carol Johnson, Sam Parks, Brian Weiss, Jill Gibson, Pressly Mattox, Marc Klinger, Bob Dooley, Mandy McLaughlin, Barbara Mason Van, Don Kelly and Andrew Scott. Over the past five years, including 2014, National Balloon Rally Charities has contributed a total of $274,180 to area non-profit organizations! National Balloon Rally Charities is thankful for the growing popularity of Carolina BalloonFest and for the generous support of our mission. One unfortunate example of our overwhelming success is that we were not able to accommodate everyone who wanted to attend on Saturday afternoon. 2. TWO weekend passes, with reserved parking, to the 2015 Carolina BalloonFest. Deadline is December 31, 2014. Include your mailing address, and indicate in writing your choice of the above two reimbursement options. 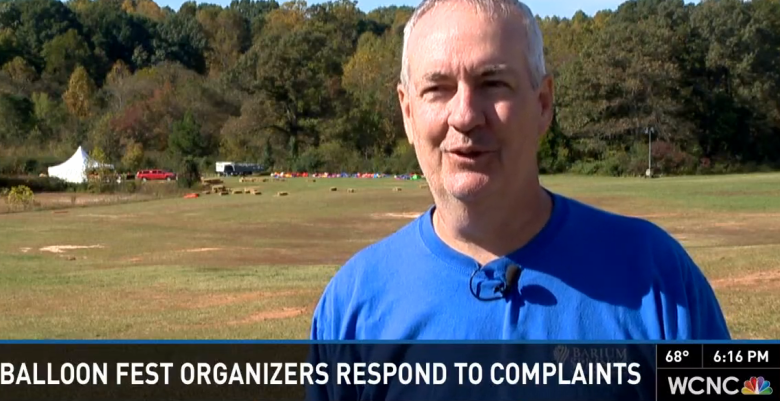 We will promptly mail you either a refund check, or two weekend passes to Carolina BalloonFest 2015. Thanks again for your support of our mission! And thanks for your patience as we resolved this issue.